The Edmonton Padres are pleased to announce that they will be hosting a Performance Junior AAA team for the 2019 season. Players born in 1998-1999-2000 are eligible to play Junior AAA for the 2019 season. There are no boundary restrictions for any players. An information session will be held on Monday, February 25, 2019 at 7:00 PM. NAIT Main Campus (11762-106 Street) Classroom U101. Games are normally scheduled on Sunday’s (Double Headers) and there is one practice requirement and/or exhibition game during the week. 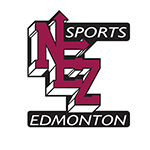 The season runs from approximately May 21st – July 31st (schedule forthcoming from Baseball Alberta) with teams playing in a provincial championship at the end of the season. The Junior AAA Provincial Champion will represent Alberta at a Western Canadian Championship (Location and Date TBA). The Junior AAA team will also work out from time to time during the season with the Padres Midget AAA team. Fees for 2019 are $900.00 per player. Jerseys, hats, player hoodies and light workout apparel are provided as part of the fee.